Startups face a major problem in getting their ideas off the ground: Funding. How do you raise the funds you need to push your project further? Where does the money come from? What relationship do you want to have with investors? How do you even find investors and supporters in the first place? There’s also the problem of publicity. Social media is already crowded with other startups vying for attention, and you won’t be getting any word-of-mouth interest unless you already have a proven track record. This is why we’re the East Regional Partners for the Startup World Cup, an international competition that awards $1,000,000 to the winning startup. What do you have to lose? Startup World Cup is a global conference and competition that brings together the top startups, VCs, entrepreneurs, and world-class tech CEOs. The competition brings together many other leading events from across the globe from North and South America, Europe, Asia, Africa, and Australia. The SWC offers innovation and entrepreneurship opportunities for startup ecosystems around the world. Chosen startups worldwide will first compete at regional events, and the regional finalists will showcase themselves at the Grand Finale event in San Francisco and compete for a US $1,000,000 investment prize. You get more than just funding for your startup. Winners will get help through strategic synergies and partnerships, paving the path for startups across the world. Working with ODSC and Fenox means having the opportunity to organically grow your business and enter new markets. 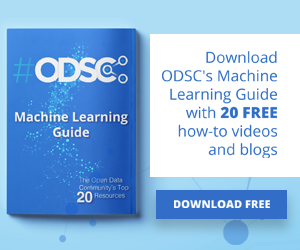 Why should I attend the Startup World Cup at ODSC East? The reasons are different for everyone! Startups gain the opportunity to network with top tier investors, develop corporate partnerships, and hear from top industry experts. Corporations can meet innovative startups from around the world, create business development opportunities, and network with other corporate representatives and investors. Investors will meet top global startups, get access to new deals around the world, and network with other investors and corporate representatives. Got what it takes to win the $1,000,000 grand prize for your startup? 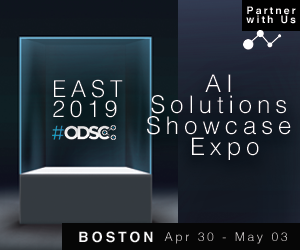 Learn more about the East regionals here and attend ODSC East 2019!